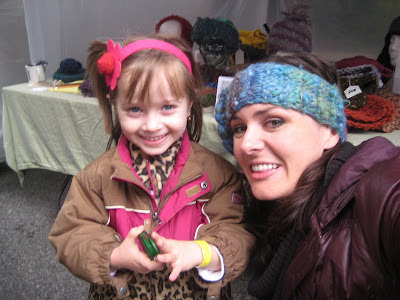 Crafts in Chelsea was a hit! My first craft show was such a success! I couldn’t be happier with how it wall turned out! Loads of friends came in waves which really helped attract attention to my booth. 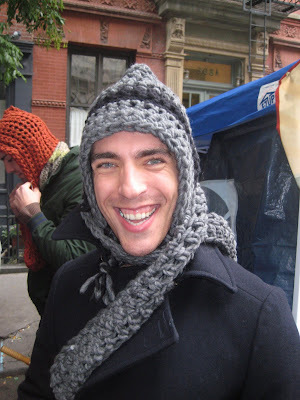 It was freezing but DIDN’T RAIN so everyone was interested in handmade warming up items. 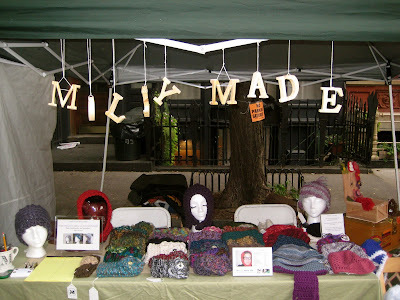 Thanks to everyone who stopped and shopped, my amazing friends, The New New etsy group (especially Lenny Mud, Nordea’s Soaparie and Groundsel), my partner in crochet crime…Tepperwear, and my fantastic partner in everything Mr. Dominguez. I couldn’t have done it without all of you! I know I’m making a big deal out of all of this, but it was my first time, so I’m geekishly excited. Here’s a few pictorial highlights! This is how I started my day. I couldn’t believe my eyes! 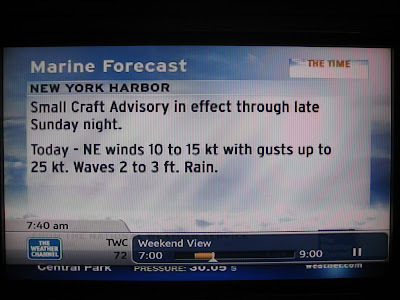 A CRAFT ADVISORY??? Yes! Hey Molly, thanks for the shout out. It was a fantastic day, wasn't it?